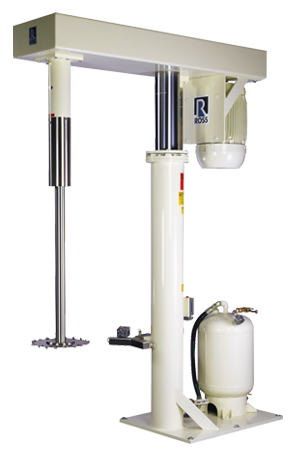 The Ross High Speed Disperser is built with all of the features and versatility required to produce a wide variety of products. This age old design has been refined and updated for longer life, improved performance and reduced maintenance costs. High Speed Dispersers are perfect for viscous dispersions. High Speed Dispersers are most often used for chemical, paint, ink and specialty coatings applications. When used in conjunction with Multi-Shaft Mixers, they can be used for products up to several hundred thousand centipoise. Dispersers are available from bench top sizes to very large production sizes capable of dispersing several thousand gallons at a time. Copyright 2014 Charles Ross & Son Company. All rights reserved.